Wow! So it has been a busy month for me! My vacation to Nebraska was fun but crazy and I am beat! But there is still furniture to paint and things to be upholstered and made a new! So I thought I would share a picture of what I have been working on since returning home. 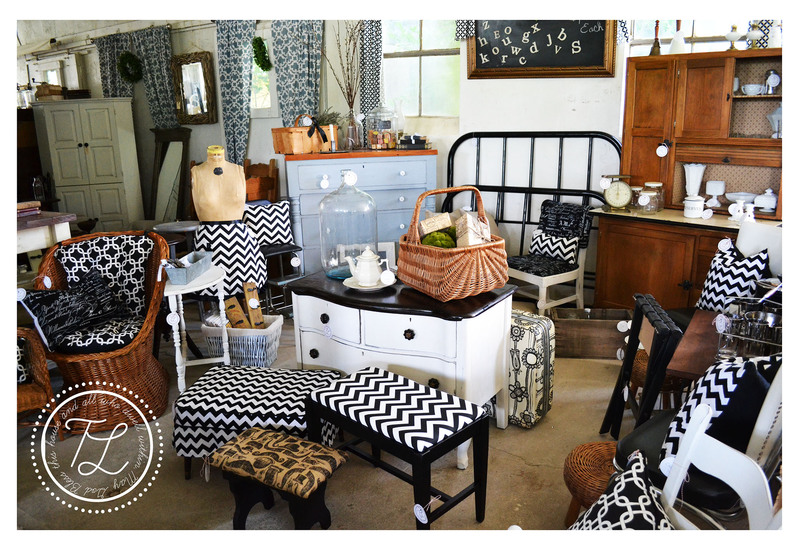 This picture is what my booth at Sweet Clover Barn in Frederick, MD, currently looks like! This where I sell I my goodies. Our theme for the booth this month was black and white, if you couldn’t tell! I think it turned out pretty lovely, and hopefully our customers do to! This coming weekend is the sale, so I have my fingers crossed that it is good one! Hopefully my next blog post will be about my trip to good old Nebraska! But if you could see my garage now you would know exactly how much work I have to do! This entry was tagged sweet clover. Bookmark the permalink. looks SOOO good! suddenly i want cookies and cream ice cream.